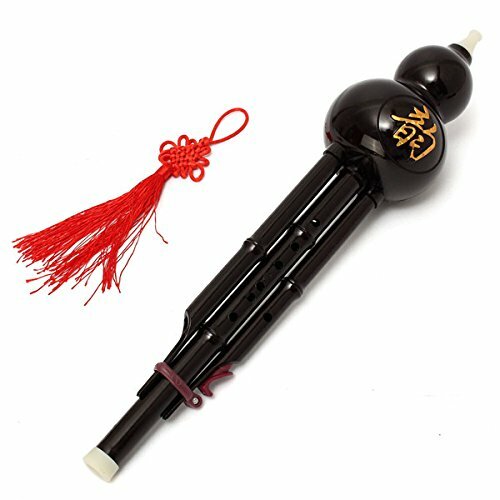 - The hulusi is a free reed wind instrument from China, originated in Yunnan Province. Its sounds are as soft and graceful as shaking silk. In addition, it is simple and elegant in appearance, easy to learn, small and easy to carry. It is very popular among music fanciers and tourists. - Hulusi can be divided into three types including high, medium, and low. Bb tone is very easy to learn and control. - Dual tone hulusi - the high tone sub pipe makes single sound only, while the other sub pipe is a merely ornamental. - Acoustic fidelity pure exquisite. - Outward appearance exquisite fashion. Material: raw material resin + plastic. Chinese knot length: 210mm/8. 3". Package included: 1 x chinese hulusi 1 x chinese knot. If you have any questions about this product by BangBang, contact us by completing and submitting the form below. If you are looking for a specif part number, please include it with your message.